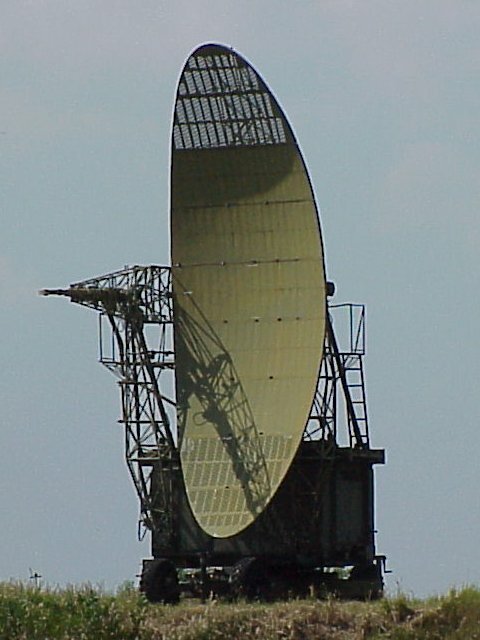 A fan-beam antenna is a directional antenna producing a main beam having a narrow beamwidth in one dimension and a wider beamwidth in the other dimension. This pattern will be achieved by a truncated paraboloid reflector or a circular paraboloid reflector. 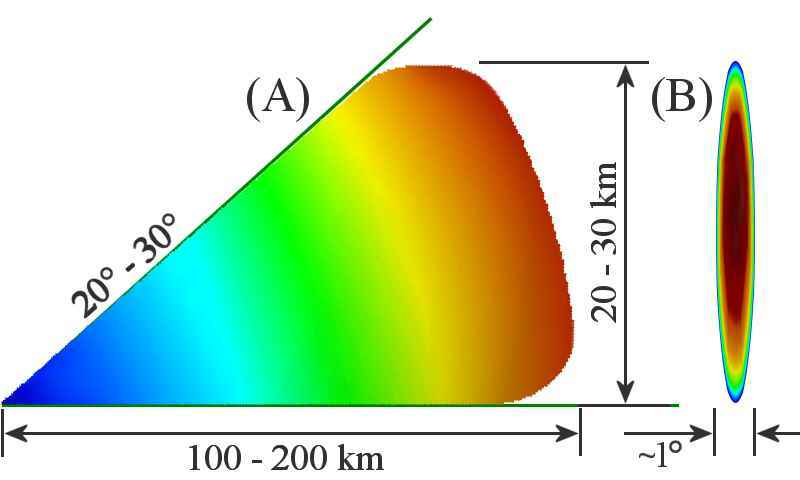 Since the reflector is narrow in the vertical plane and wide in the horizontal, it produces a beam that is wide in the vertical plane and narrow in the horizontal. 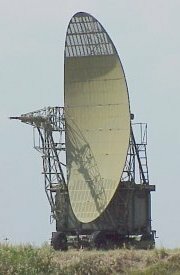 This type of antenna system is generally used in height-finding equipment (parabolic reflector cut-out rotated 90 degrees). Since the reflector is narrow in the horizontal plane and wide in the vertical, it produces a beam that is wide in the horizontal plane and narrow in the vertical. 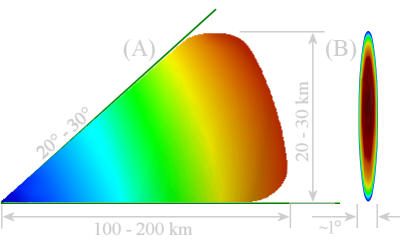 In shape, the beam of a height-finding radar is a horizontal fan beam pattern. 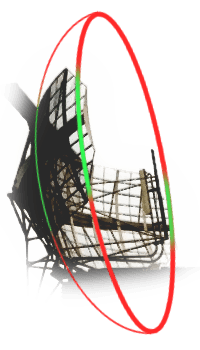 In American publications, this type of antenna diagram is also described as a “beaver-tail diagram” or “beaver-tail pattern”, because it is flat and wide like a beaver tail.